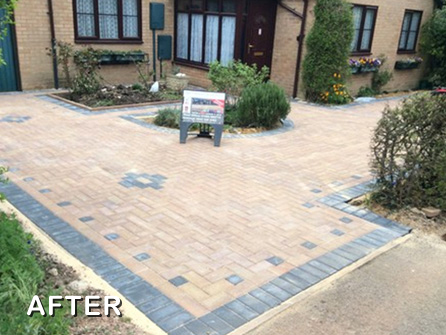 Cornerstone Paving Ltd are complete specialists in designing and installing quality sealed driveways and patios. 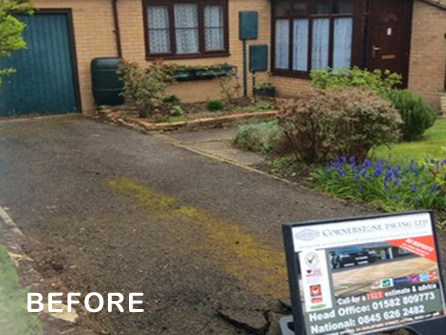 We can transform any disused space into a stunning driveway to compliment your home and outdoor space. 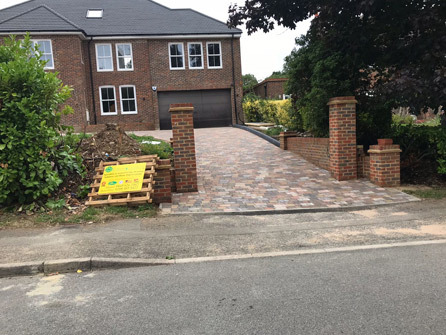 Our driveways are designed to fit your space entirely, and our team are at hand to share with you their knowledge of the materials on the market today and what they think would suit your property best. There are many different styles, textures and colours to choose from, along with extras such as steps, kerbs, lighting and decorative edges, the design possibilities are endless. 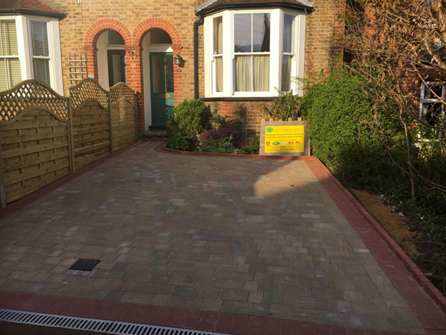 At Cornerstone Paving Ltd, we offer all of our customers a free planning and design service, our aim is to build you a stunning driveway which will become a valuable asset to your home for many years to come. 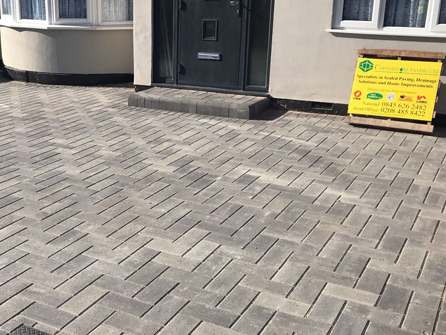 You can rest assured that our block paving will not crack, dip or subside due to the in- depth preparation, specification of the sub base, the quality of materials we use and the professional installation. Every driveway and patio we design and install is built to last, we stake our reputation on it, our work is fully guaranteed and comes with a guarantee. 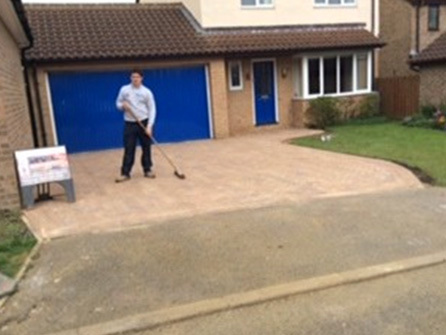 We raise the standard when building you a driveway! Not only will you have a fabulously designed driveway to come home to, you will know that because of the preparation and attention to detail, it will be solid underneath too. A thick geotextile membrane is laid on the soil base to prevent the sub base mixing with the underlying layers. It can also help prevent weed growth. 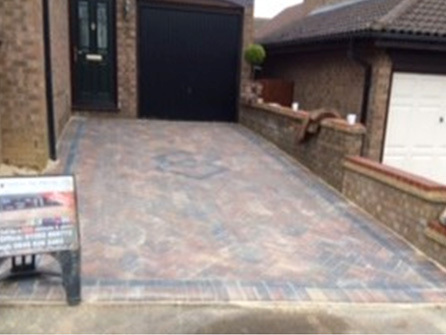 A quality driveway sealer is added to protect the blocks and deliver an invisible protection against water damage. Assuming application instructions and coverage guidelines are adhered to, the sealer provides effective water repellency for years. Our team can help you with extras such as decorative edges, lighting, steps and kerbs. Herringbone, Stretcher bond & basket weave are paving patterns that we always use, ask a member of our team to let you see our portfolio showing you the different designs and colours and the patterns we have created to see which one you like the best. We offer free site surveys, free advice and free no obligation quotations at competitive prices. 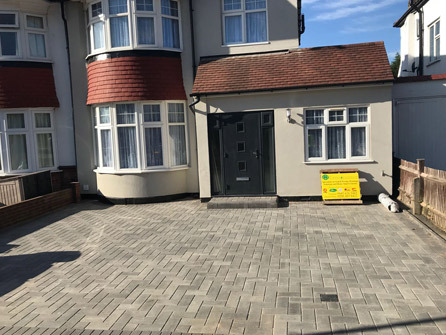 For friendly, professional advice on design, construction and maintenance of your driveway, call in the experts at Cornerstone Paving Ltd on 020 8485 8422.